The weather in Utah has been extraordinarily nice this winter. I've never been a big fan of snow, except for the fact that it looks so pretty when it's gently falling. Most days, I've been perfectly fine leaving the house in a cardigan or a light sweater. Which has been nice for a change. I found these vintage boots at a thrift store a couple of years ago and never wore them. Crazy right? Well, when Daryl and I moved into our new place I decided to un-dust these bad boys and wear them. I've been wearing them a lot frequently (maybe even too much) and I'm questioning why I didn't pull them out sooner. I love this outfit! It's really cute! Especially the lacy tank top! I love everything about this outfit! I want those boots! How fun! And I really love your headband. 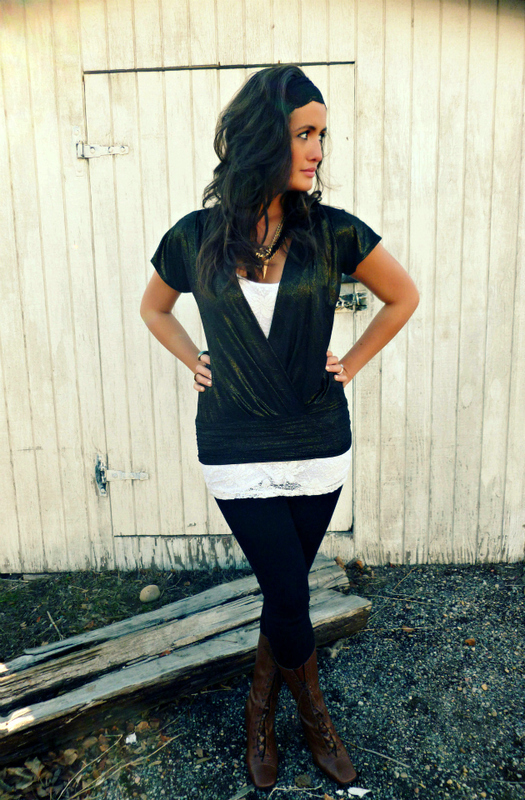 Love the shirt and the boots - what a great ensemble! your style amazes me. teach me. Those boots rock!! 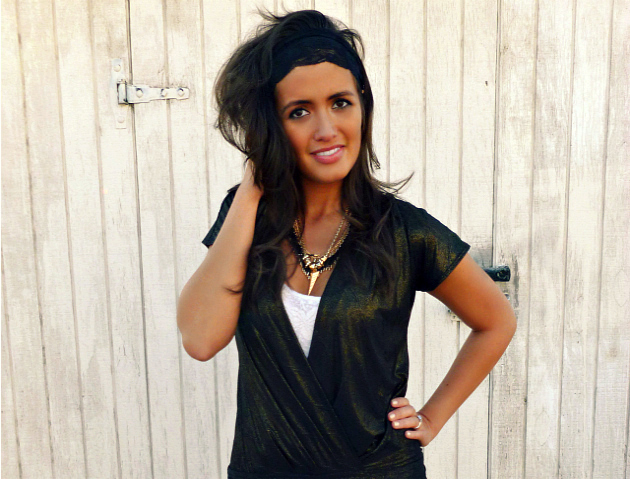 love your style and your hair is gorgeous! you can never go wrong with vintage boots. they are the best! don't you wish you knew who originally bought them? im sure there are so many great stories behind them. ok and those rings? work it girl! 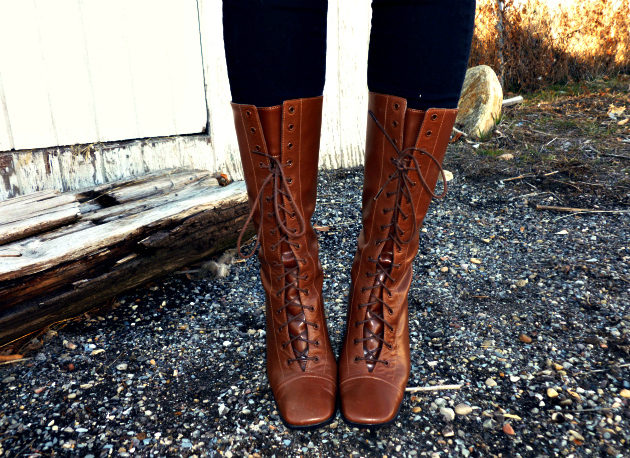 I can't believe those boots were actually a thrift store find...so perfect! if i had those sweet boots, i'd wear them entirely too much too.